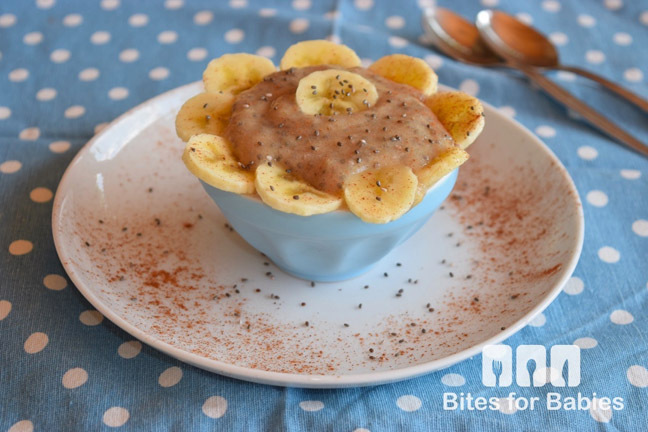 Superfood chia seeds are the key ingredient in these wholesome, delicious puddings. These tiny, crunchy little seeds literally transform before your very eyes into plump, tapioca-like pearls, creating that creamy, dense rice consistency of raw pudding. Not only are these puddings tasty, but they are also packed with fibre, protein, iron, calcium, and omega-3 fatty acids, making them super healthy options to feed baby to ensure they get all the vitamins and minerals they need. Most of these puddings for babies can be made the night before and can be served as a decadent breakfast, midday snack, or even dessert after a long, stressful day—for you and the kids! Step 1: Soak the chia seeds in the milk for at least one hour or until plump and no longer crunchy. Step 2: Place all the ingredients in a small food processor and blend for 1–2 minutes until smooth and creamy.